There are many mistakes that can be made during a DUI arrest that can result in the drunk driving charges being dropped in the future. Under California law, drivers are obligated to take a breath test, but they have the right to decline to take the preliminary alcohol screening test. Drivers may also decline to take field sobriety tests. When police officers make the mistake of failing to inform drivers about these rights and lead them to believe that the tests are mandatory, the results of such tests may not be used in court. Californians should know that refusal of these tests typically results in an arrest, and it is against the law to refuse to take a blood or breath test after being arrested. 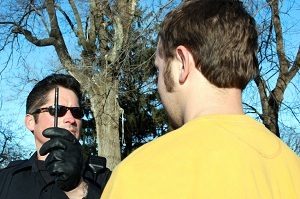 Once an arrest is made, police officers are required to inform the suspect of his or her rights. There are many mistakes that can be made during the actual testing process, or the DUI investigation as well. Was the officer qualified to administer the test? Were proper protocols followed? When was the equipment used for the test last calibrated? Were the samples tampered with or stored properly? Did the arresting officer have probable cause to seize evidence from the suspect’s vehicle? There are many potential mistakes that can invalidate an arrest and get charges dismissed. The experienced southern California DUI defense attorneys at Takakjian & Sitkoff know how to analyze all aspects of a case to determine if any of the defendant’s rights were violated. If you are facing DUI charges in southern California, please call our offices today at (866) 430-8383 for a free consultation.